People Names Bradley Cooper "Sexiest Man Alive"
If you can look that good with a memory-erasing hangover, you deserve to be celebrated for it. 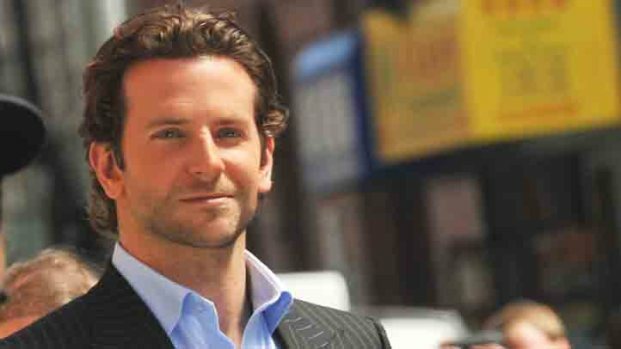 People magazine has just unveiled their list of 2011's Sexiest Men Alive, and "The Hangover" and "The Hangover II" star Bradley Cooper has taken the crown. The star, who recently upped his swoon factor when he did an interview in fluent French, was typically self-deprecating when asked about the honor. "I think it's really cool that a guy who doesn't look like a model can have this [title]," said the 36-year-old actor. "I think I'm a decent-looking guy. Sometimes I can look great, and other times I look horrifying." He then added, "The first thing I thought was 'My mother is going to be so happy.'" Cooper, who has a number of high-profile projects in the works including the drama "The Place Beyond the Pines" alongside Ryan Gosling, Rose Byrne, and Eva Mendes, the David O. Russell film "The Silver Linings Playbook," and the special effects extravaganza "Paradise Lost" in which he'll be playing Lucifer, also downplayed his reputation as a roving ladies' man. "If you're a single man and you happen to be in this business," he says, "you're deemed a player. But I don't see myself as a ladies' man." The list also includes "Hunger Games" star Liam Hemsworth, "Luther" star Idris Elba, Jennifer Aniston's current boyfriend (oh, and actor/screenwriter) Justin Theroux, "Captain America" star Chris Evans, "Community" funnyman Joel McHale, and Cooper's "Place Beyond the Pines" co-star Gosling.